Today's buildings make up almost 40% of both total energy and carbon emissions in the United States. With one of the country's leading preservation architects as your guide, Sustainable Preservation explores the power of adaptive reuse to reduce those numbers and move us toward sustainability. The book shows how icons such as H.H. Richardson's Trinity Church in Boston can go green - and why a 1970's strip-mall supermarket not only deserves similar attention but can also emerge as a building that delights users. Accompanying this evening's lecture, the BAC has the book in stock! 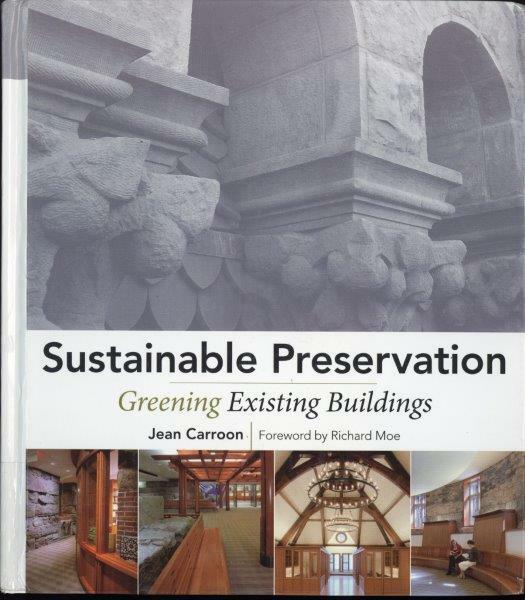 Stop by the BAC Library on the 6th floor to check out lecturer and transformative change-maker, Jean Carroon's wonderful book.